Apply here for government jobs! 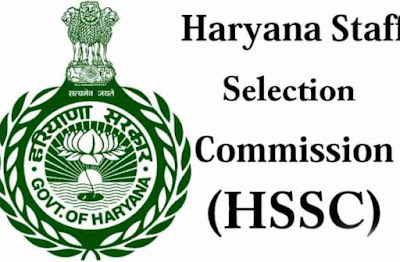 Haryana Patwari Recruitment 2019, One thousand three hundred and twenty-seven (1327) vacancies for the post of Canal Patwari and Gram Sachiv has been announced by Haryana Staff Selection Commission. In order to recruit suitable aspirants for the said vacancies, Commission has invited eligible Indian nationals to apply for Canal Patwari and Gram Sachiv vacancies. To apply aspirants required to submit an application form, the application form is available in online mode at www.hssc.gov.in. Those who want to apply are suggested to check the eligibility criteria for the posts and submit your form accordingly. It may be noted that application form for Haryana Patwari Recruitment 2019 will only available from 21 March 2019 to 23 April 2019. Step 2: From the home page you have to hit an appropriate link for the Haryana Patwari Recruitment 2019 notification. Step 3: Read the complete details form the official notification. Step 6: Upload the scanned copy of photograph and signature in the required size. Step 7: Recheck all the filled information. Step 8: Finally submit the form and take a print out of the application form for future use.